Color me surprised! 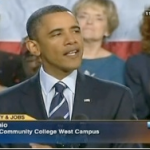 Mediaite has video of President Obama’s speech in Cleveland, where he continued to exhibit the same fiery rhetorical style and disapproval of Republican opposition that marked his Labor Day speech earlier this week. He was adamant that he would not support the continuation of the Bush tax cuts, a bold move that may or may not pay off for him and his party in the midterm elections. Regardless of the outcome, however, the president is definitely not going down without a fight. 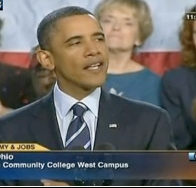 Could this be part of a new, “West Wing”-esque “Let Obama Be Obama” strategy? Get the full post and see video of the speech here. On Geekosystem today: Google Scribe, a service that (like all good futuristic technology) is equal parts creepy and cool, predicts the next word you’re going to type and automatically fills it in for you…almost like it’s reading your mind! Like Autotune, this is the kind of thing that could be occasionally helpful for a victim of writer’s block, but will almost be more of a corrupting than corrective force if used too liberally. Without it, though, the phrases “Concise Oxford English Dictionary” and “Thesaurus for Blind and Visually Impaired Children Committee” would never have appeared in the same sentence, so thank heaven for small miracles, I guess? To read the full post, click here. 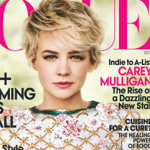 Styleite unearths a possible sinister plan to replace Michelle Williams with Carey Mulligan. 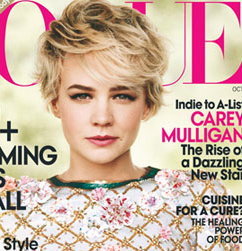 Mulligan appears on Vogue’s October cover, posing adorably in Chanel. But exactly one year ago, fellow adorable pixie Williams was featured in Louis Vuitton on the magazine’s October cover! While it might just be an odd coincidence, the similarities in style and composition of both covers are hard to ignore. There can only be one! Decide which gamine starlet reigns supreme and read the full post here. Well, the world cried out to know, and now we’re being rewarded: Sportsgrid has a clip of Mike Tyson’s thoughts on Tupac Shakur’s untimely death. Kidding aside, Tyson’s story is chilling: he was one of the last people to see Shakur alive, as the rapper was killed while riding in a car after sitting ringside to watch Tyson triumph over Bruce Seldon at the MGM Grand. Tyson’s story aired on ESPN’s “30 For 30,” and does provide some food for thought — at the very least, it’s interesting that two of the most polarizing figures of the late 20th century were so connected to one another. To read the full post, click here. Justice has been served — Gossip Cop reports that Nicole “Snooki” Polizzi has been made to pay a fine as a result of her arrest in New Jersey on July 30 for drunk and disorderly behavior. Polizzi apologized in court, saying that she was “very embarrassed” by her conduct. The judge who heard her case, Damian Murray, couldn’t resist a little bit of public shaming: he referred to Polizzi as a “Lindsay Lohan wannabe” in court. Of course, this criticism is completely ridiculous; Lindsay Lohan used to have an actual career! To get the full post and more details on Snooki’s run-in with the law, click here.